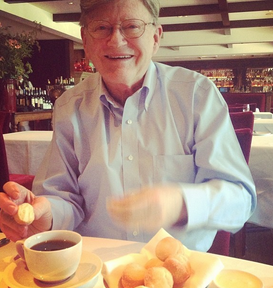 Blondie and the Andrews Sisters are my grandfather’s two favorite bands. There is truly no relationship between these two groups in vocal style or content. It’s as simple as comparing the 1940’s to the 1980’s. Add three major wars, a baby boom and a technology revolution, and that’s a pretty massive shift in pop culture. Just the lyrics alone indicate what a complete change ensued over the course of forty years! Time and music march on. 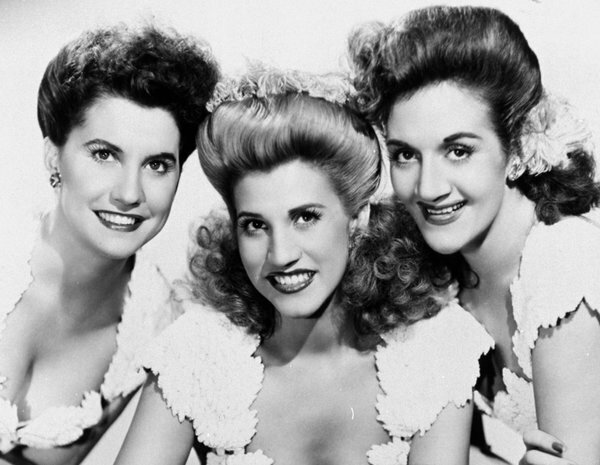 LaVerne, Maxene and Patty, of the Andrews Sisters, were known for their harmonizing on swing and boogie-woogie music. While performing for soldiers during World War II, tensions between the sisters reached an apex, and tore this idyllic picture apart. Blondie, on the other hand, is known for their new wave and punk music. 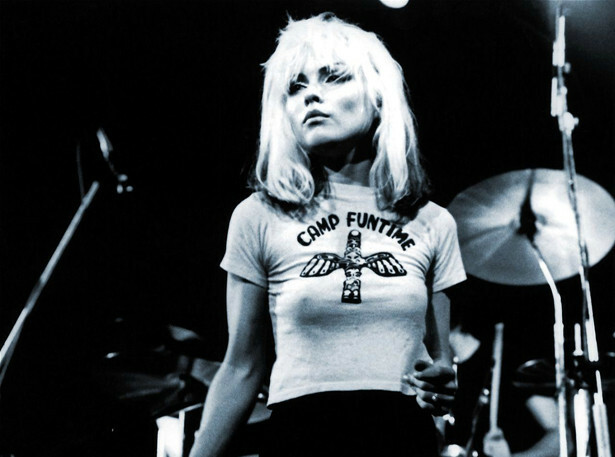 Fronted by Debbie Harry, Blondie offers both a musical progression over time, and a series of surprising career reinventions.